Accountants are steering Australia’s not-for-profit (NFP) sector through tighter reporting requirements and looming changes in reporting standards, according to CPA Australia, one of the world's largest accounting bodies. Accountants are steering Australia’s not-for-profit (NFP) sector through tighter reporting requirements and looming changes in reporting standards, according to CPA Australia, one of the world’s largest accounting bodies. 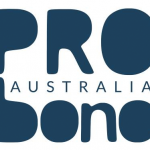 Reporting by charities and not-for-profit (NFP) entities is a different proposition to reporting in the for-profit corporate world, but the good work of Australia’s 54,000 charities and the much larger and diverse NFP sector draws many accountants to the sector. “Quite often, the focus of a charity/NFP is purely on its mission, and it’s not necessarily focused primarily on the accountability or reporting that has to be completed to us,” according to CPA Mel Yates, director of reporting and red-tape reduction at the Australian Charities & Not-for-profits Commission (ACNC). “There is certainly a different mindset for the production of accounts for a not-for-profit or charity,” Yates says. He says that with those differences, however, comes a much more tangible feeling of satisfaction for the accountants working in the area. Accountants are playing an essential role in improving reporting in the sector. The ACNC was established in 2012, so the 2015 financial year was only the second full financial reporting period. Calculation errors drove most of the issues in 2015, prompting the ACNC to contact 6800 charities and ask them to correct problems. “That’s really important, because when the figures are corrected, they flow back into our register, which is publicly available and searchable, and we want it to be accurate and a source of truth,” Yates says. By 2016 many basic errors had been eliminated, although some charities are still updating their templates to reflect ACNC requirements. not referencing the Australian Charities and Not-for-profits Commission Act 2012 or mandatory accounting standards in financial reports. “These are the areas where the accountants serving the sector can add the most value,” according to Yates. Andrea Petersen, managing director of not-for-profit sector accounting specialist NFPAS, says charities and NFPs have a more complicated regulatory framework than what applies to a small business. Most Australian small businesses are not required to publish their financial results nor be audited, and they have less monitoring. “Charities are highly regulated and accountable (with their financial information now publicly available on the ACNC website), and most are required to be audited or reviewed, either by regulatory requirement or their own constitution,” Petersen says. She says charities generally have more oversight of the finance function from within. “They are governed by a finance team/CEO/finance sub-committee/board, “so they have plenty of oversight and scrutiny internally,” she says. The biggest difference in the accounting process for charities and NFPs and for-profit entities is that mostly they pay no income tax. Rules also differ on business activity statements (BAS) and GST; NFPs have a higher GST registration threshold. Charities may also enable employees to receive concessional Fringe Benefit Tax (FBT) treatment. Yates says the differences in accounting processes between companies and charities and NFPs are “only going to get more different” with new accounting standards on the way. The new standard, AASB 1058 Income of Not-for-profit Entities, becomes effective for accounting periods commencing on or after 1 January 2019. Charities will need to consider their income and revenue recognition policies under these new requirements, in conjunction with AASB 15 Revenue from Contracts with Customers, also effective 1 January 2019. Charities with leasing arrangements will also have to give consideration to AASB 16 Leases, also effective from 1 January 2019. The Australian Accounting Standards Board has also developed its 2017-2019 domestic work program, which includes its other primary focus projects for the NFP sector. In Australia, the charity and NFP sector’s combined income was more than A$134 billion in 2015. The larger the organisation’s annual income, the more financial reporting the ACNC requires. “We dive into a lot more detail about compliance with accounting standards, making sure that the auditor’s report is signed, making sure that there’s a reference to the ACNC legislation, and that the auditor or reviewer is satisfied it complies with the requirements – that level of analysis,” Yates says. He says the ACNC is still finding errors in that level of detail. Should charities and NFPs make a surplus? The term “not-for-profit” implies there is no interest in achieving a surplus but the ACNC encourages charities to produce a surplus, because it expands the resources available to keep fulfilling their missions. “To many charities, it’s more about the purpose, the welfare of beneficiaries, and the outcome that it’s providing – I’d like to see them called ‘for benefit’ organisations,” Yates says. Have no obligation for a financial report to be reviewed or audited. their financial report must be either reviewed or audited. the financial report must be audited.